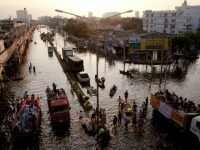 Overall global losses from natural disasters such as floods, landslides or earthquakes amount to about $300 billion annually. A rapid and early response is key to immediately address the loss of human life, property, infrastructure and business activity. 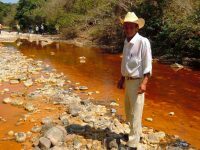 Does El Salvador’s Metal Mining Ban Suggest a Global Trend? A number of national and local governments are tightening environmental regulations and shutting down specific mining projects, or in some cases the entire industry, due to environmental risks, including those related to water use and pollution. 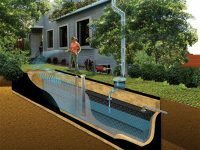 The potential effectiveness of harvesting rainwater to bolster water supply and reduce potentially polluting runoff varies greatly from place to place, even within a particular city or neighborhood. Now researchers at the Columbia Water Center have developed a tool to assess the potential of rainwater harvesting throughout the United States. 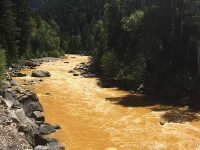 Across the nation, abandoned mine sites continue to pollute the environment for decades as acid mine drainage flows into rivers and streams. A 1980 law was supposed to fix that, but lack of funding and enforcement have left the public stuck with the bill. Researchers at the Columbia Water Center have been analyzing trends in drinking water quality violations. A critical lesson is that water quality violations extend well beyond the problem of lead in Flint’s drinking water. 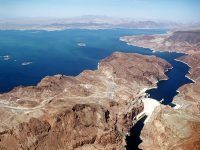 Across the nation, large-scale water infrastructure such as dams have provided a multitude of services, from electric power and water reservoirs to flood control and containment of pollution. But federal investments in large water infrastructure projects have largely been curtailed over the past few decades. 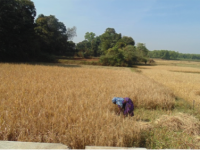 Jharkhand, India is one of the nation’s poorest and most most food-insecure states, with over 45 percent of the population living below the poverty line. Can a research team devise sustainable ways to improve livelihoods, productivity and sustainable water use? 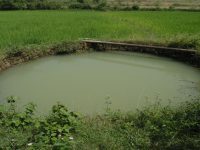 Is the creation of a National Water Framework Law or other stronger national legislation the right approach to creating a more sustainable water regime in India? To answer that question, one has to look at the current constitutional status of water rights in the country. 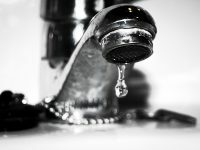 Today, World Water Day, is a day designed to draw attention to the state of one of the world’s most precious resources. This is a global issue with many regional and local implications. Here in America, drinking water is under threat from many forces, but none so consistently overlooked as aging, deteriorating infrastructure.